Nothing is better than a big ol’ Nebraska Tom strutting his way to your decoy setup. The sound of the gobblers in the morning sounding off!!! Our properties have countless numbers of turkeys and the ratio of Toms to Hens s is like none other you will find in Nebraska. 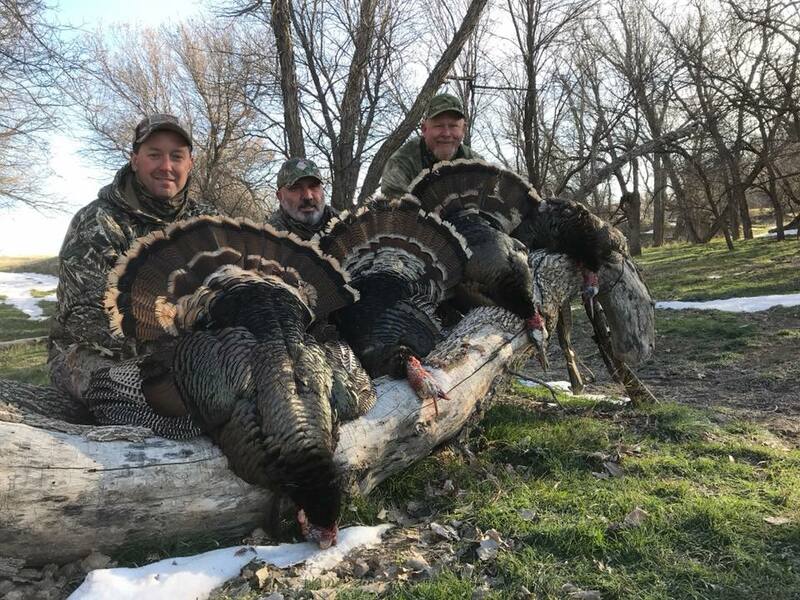 Our team of Nebraska turkey hunting guides & outfitters have spent countless hours in the field understanding & patterning the birds so we can put you right in front of them this spring turkey season. We have pop up blinds set up and all you need to do is show up and get ready to shoot because you will have many opportunities with gobblers right in front of you. 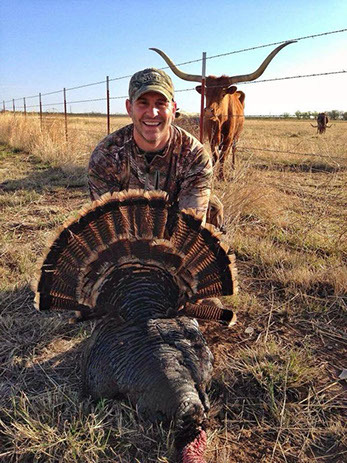 Contact us today to get your next Nebraska Turkey hunt booked with our outfitters and to help you prepare and get everything you need for your Turkey hunt head on over to the Survival Cooking store they have everything you could possibly think of to make sure you have all the right equipment for the hunt. 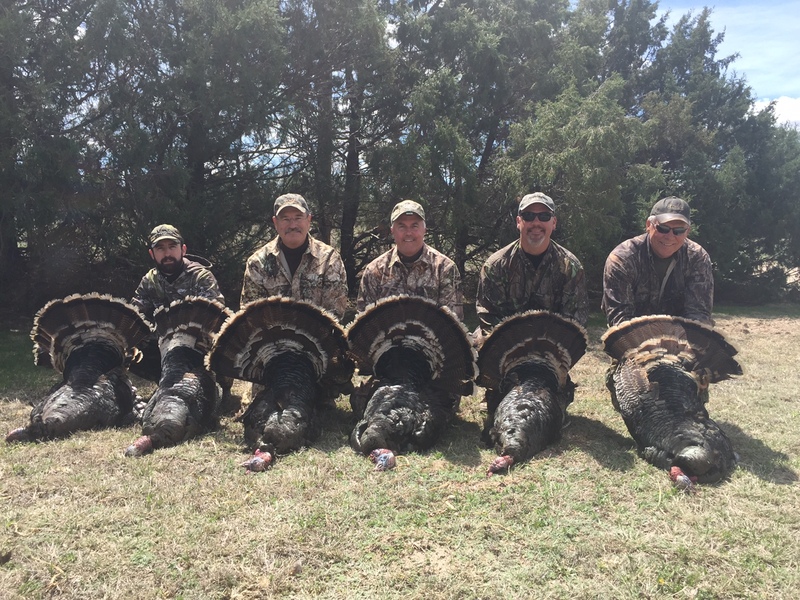 Depending on which Turkey hunting package you choose, all Nebraska Guided Turkey hunts have a client to guide ratio of 2X1, include lodging at the B&B lodge, and give you the opportunity to harvest multiple turkeys. Guides will meet you at the lodge the night before your hunt and go over the plan as well as answer any questions. While on your hunt, feel free to ask your outfitter as many questions as you want. We’re in the business of teaching as well as harvesting. 3-Day Package $1195 per gun. Youth hunters $595 with fully paid adult. 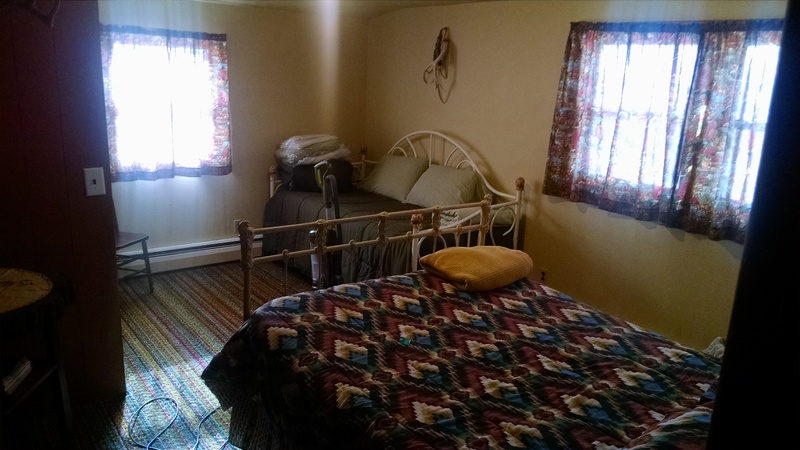 Located in the peaceful countryside approx 15 minutes from the town of Hayes Center, this rustic yet comfortable home has 3 bedrooms, 2 bathrooms, and can sleep up to 6. The laundry/mud room will help you keep things nice and clean. A full kitchen has everything you’ll need and everyone can sit down in the dining room to chat about the days events. If you have anything for the grill, feel free to use the outside BBQ. 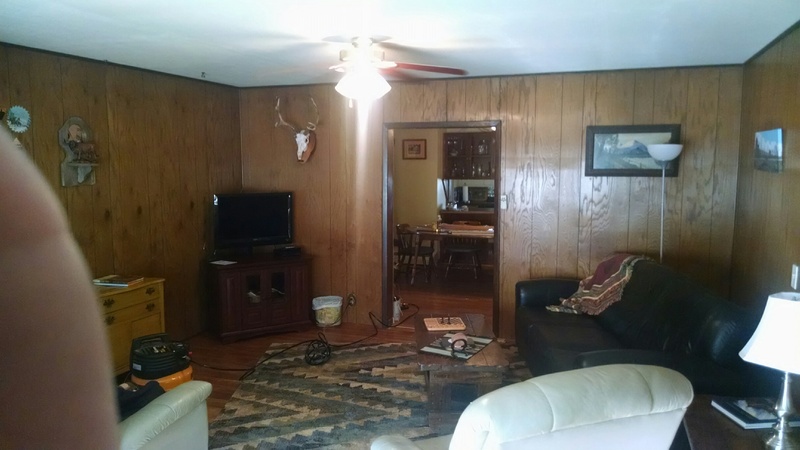 The living room has comfortable couches as well as DISH network for your entertainment. We do recommend you keep the tv turned off though and enjoy what nature has to offer! Nebraska Spring Turkey tags are $8 for youth hunters, making the experience all the more palatable for parents. Adult tags are $108. For more specific information on Nebraska Spring Turkey Hunting or to purchase tags, visit the Nebraska Game & Parks website.